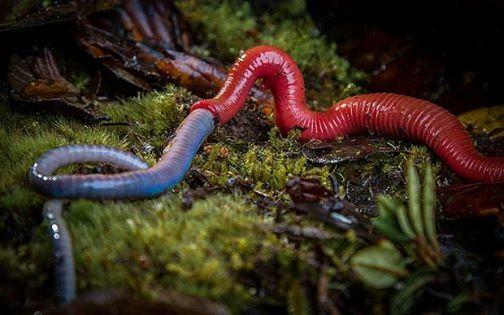 For the first time, a giant red leech, almost 20 inches in length, has been filmed slurping down a blue earthworm like a piece of spaghetti. 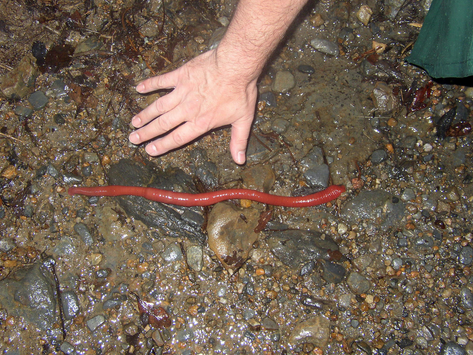 Looking like some sort of mix between The Thing and The Blob, this hideous yet fascinating creature is captured sucking down an earthworm that’s 27 inches in length! Apparently these leeches have outgrown the taste for blood alone and have upgraded to fleshy worm goodness + blood + guts… leeches 2.0 guys. Watch out. The article released by Telegraph about the giant red leech says that it does it not yet have a taxonomic name but is known to the tribes of Mount Kinabalu as the ‘Giant Red Leech.’ Oddly enough, when I went online in search of more giant red leech goodness, I actually came across a wikipedia article with a latin name: Mimobdella buettikoferi. 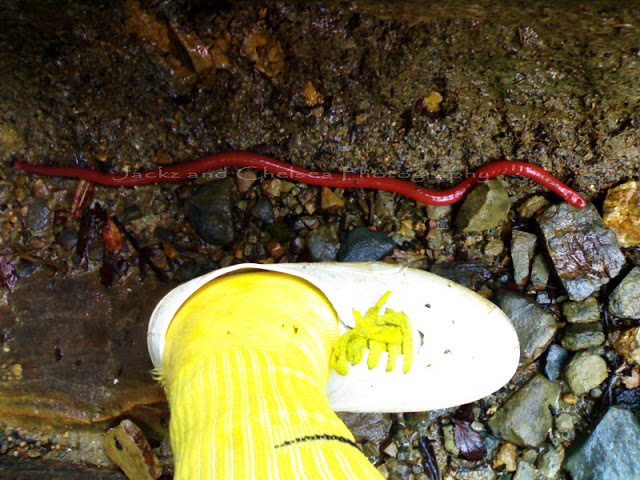 Not saying this is the exact species, but they do both seem to inhabit Mount Kinabalu, Borneo… and it makes me wonder how many species of giant red leeches are slithering around out there if these really are two different species. If this terrifying spaghetti monster is Mimobdella buettikoferi, they’ve been known to come out after intense rainstorms in Kinabalu Park at an elevation of 2,500 to 3,000 metres (8,200 to 9,800 ft) where the trail runs over a rocky outcrop near to the Mempening and Paka Cave shelters (in case you want to go on a horror movie-style recon mission to find one). The footage was captured by BBC filmmakers for the new series ‘Wonders of the Monsoon.’ In the clip you can see the leech sniffing out an end of the worm to latch onto – and subsequently rope into its mouth. 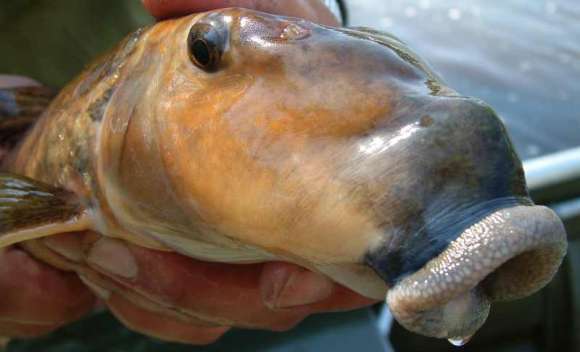 When it encounters its prey it quickly latches on and moves its lips up and down the iridescent blue body. “The result is that we could confirm the predatory behaviour of a rarely-seen and unidentified species for the first time.” added Williams. “If you want to film a predator the best thing to do is to find its prey,” said Williams. Tell that to the earthworms. 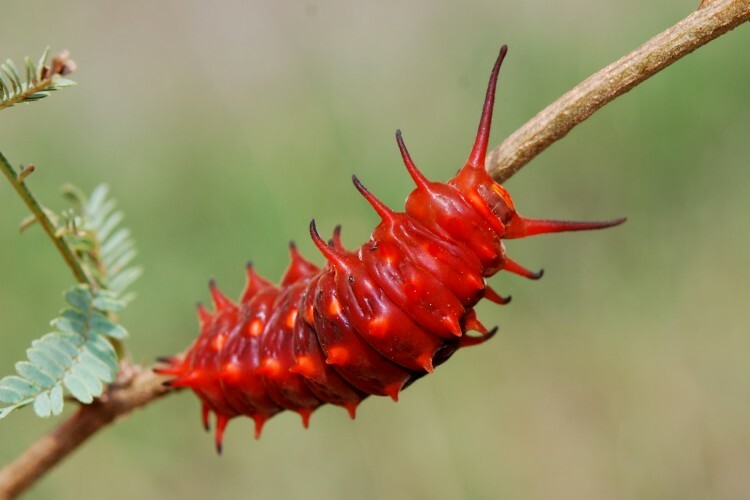 Pipevine Swallowtail Caterpillars Look Just Like Red Licorice! Siamese Twin Baby Bird On the Loose!